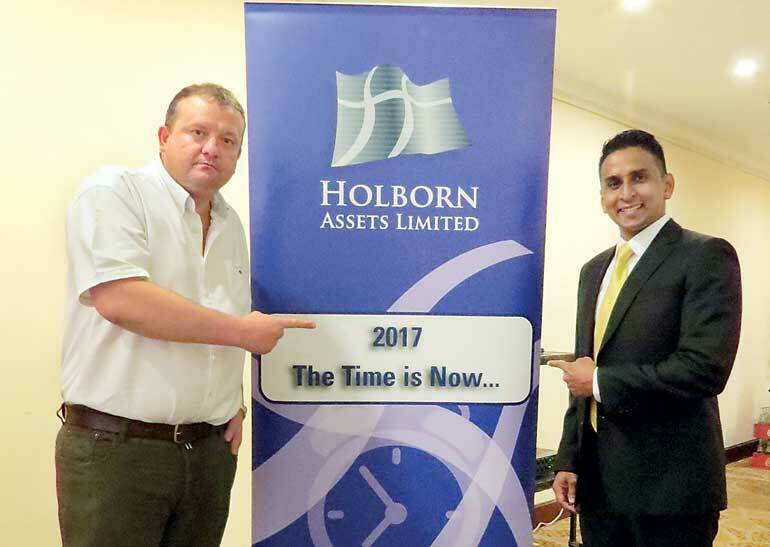 Holborn Assets, a leading global financial services brokerage headquartered in Dubai, revealed its new Managing Director for Sri Lanka at a gala dinner attended by all staff in Colombo on 10 January. Shane Jayemanne, who has been with Holborn since 2011, has relinquished his role as Director of Corporate Development to take on the task of growing the company’s Sri Lanka operations, launched in 2015, as its Managing Director. The well-regarded family owned business which currently predominantly caters to the British expat community, has over 300 employees and 100 consultants. In 2016 the company grew by 21% and according to COO Simon Parker has further ambitious growth plans for 2017 targeting a 50% increase. Of particular interest is the ‘At Retirement’ market, Holborn’s fastest growing area of the business and an exciting opportunity for everyone in the industry. “In order to support further development it is essential we bolster our Sri Lanka operations significantly. Certainly in these times of changing global regulation it is more important than ever to provide our 15,000 or so clients with a first class service in order to retain them and grow our reputation, as the market becomes less sales orientated and more client driven. To ensure we get that support both from a quality and quantity standpoint we made the decision to send to Sri Lanka our very best, someone who has for the past five years been fully immersed in the business culture of Holborn and understands our core DNA, someone who has been intimately involved in all aspects of our operational planning and also the architect of the Group’s last two strategic plans, Shane Jayemanne,” Parker announced. Under the slogan ‘2017 – TheTime is Now,’ the company will focus on expanding its head count in the core areas of client service, dealing desk, pensions administration, research and its digital marketing function. “We’re taking Sri Lanka very seriously and are excited to see Shane accept this key role in the organisation going forward, and expect great things from both him and the team here,” Parker told the staff at the dinner event. Before Holborn, Jayemanne spent two years at Millennium IT Software Ltd. He started his career in 2003 in the travel and tour sector of Aitken Spence & Co. Ltd. Jayemanne received his MBA in Finance and International Business from Northern Kentucky University, prior to which he obtained a Certificate in Executive Management (Pre-MBA Program) from the Sri Jayewardenepura University, and a BSc (Honors) in Computing from Staffordshire University, UK.